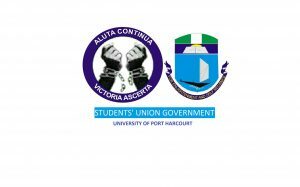 * University of Port Harcourt is a NHEF Partner . • No literary form other than an essay will be accepted. • Each piece of writing must reflect the contestant’s ability to explore and discuss ideas and ethical concepts. • Essay must demonstrate the conduct of research and a sufficiently detailed summary. • Essays must be 2000 words in length, double-spaced, (12pt Times New Roman), and numbered pages with one-inch margins excluding bibliography & title page. • Entries must be submitted in Microsoft Word or PDF format. • References in the essay should be included and clearly identified. • All entries must be submitted via e-mail to essay@thenhef.org by 11:59 p.m. (WAT) on March 31st, 2016. 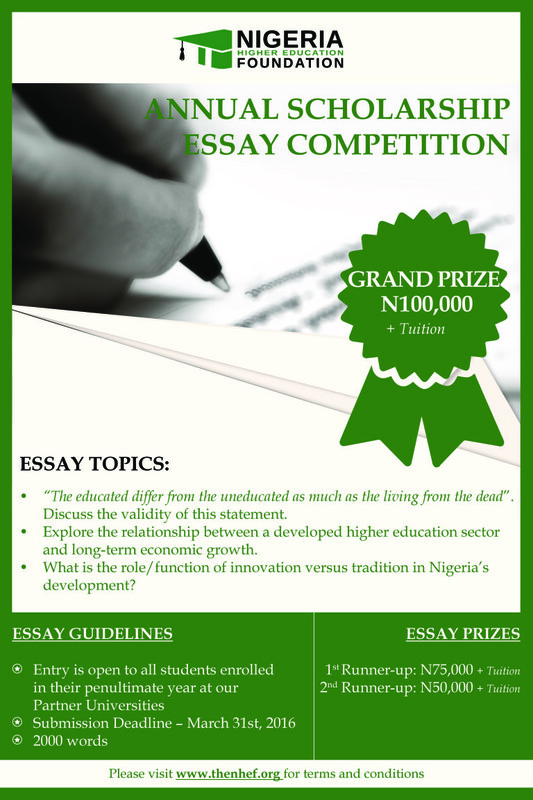 The Grand prize winner of the 2016 Essay Competition will be awarded a cash prize of N100,000 with a year of paid tuition. 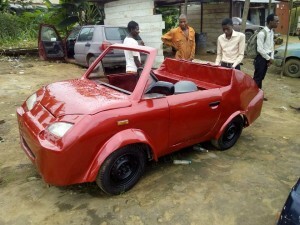 First runner-up will be awarded a cash prize of N75,000 with a year of paid tuition. Second runner-up will be awarded N50,000 with a year of paid tuition. *Students enrolled in their penultimate year are third year undergraduates of a 4-year degree program or Fourth year undergraduates of a 5-year degree program. NHEF will verify enrollment of each contestant with the university registrar.